President Rodrigo Duterte named five police generals allegedly involved in illegal drugs, and ordered them relieved from their duties. In his speech at the 69th anniversary of the Philippine Air Force (PAF), Duterte said one of the police generals include Daanbantayan Mayor Vicente Loot. 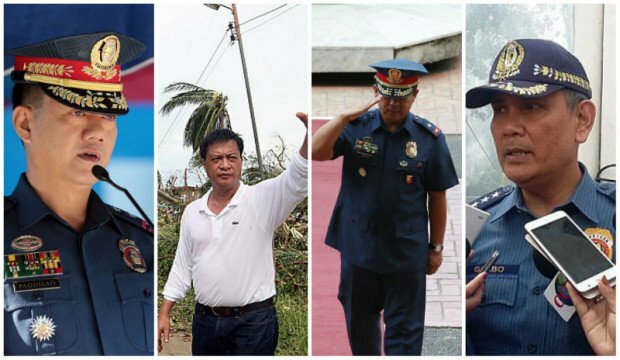 Other alleged drug protectors named publicly by Duterte were former National Capital Region Police Office head Chief Superintendent Joel Pagdilao, former Quezon City Police District director Chief Superintendent Edgardo Tinio, former police director of Davao Region General Bernardo Diaz and retired Philippine National Police (PNP) Deputy Chief for Administration Marcelino Garbo Jr.
During the campaign period, Loot promised to wipe out drugs in Daanbantayan in 100 days. The Municipality of Daanbantayan has declared Monad Shoal and Gato Islet as a shark and ray sanctuary through Executive Order no. 16-2015. Catching and trading of sharks and rays in the said areas are now prohibited. Monad Shoal, a 184-hectare dive site, is located about 30 minutes from Malapascua Island. Gato Island, a 123-hectare dive site, is 45 minutes away. Daanbantayan is a marine key biodiversity area known for its abundant coastal and marine resources with at least four species of sharks and six species of rays which includes rare and threatened species like thresher sharks, white tip sharks, manta rays, and devil rays. Daanbantayan dive sites now shark and ray sanctuaries. POLICE arrested two suspected members of a big-time robbery group in a drug bust in Barangay Banban, Bogo City last Tuesday night. The team led by Chief Insp. Richard Oliver, the city police officer-in-charge, caught Franklin Booc Araneta, 30; and Naice Velez Oporto, 34, at 8 p.m.
Araneta and Oporto were allegedly cohorts of Joel Sumabong, who was charged in court for allegedly leading a bank robbery in Bogo City in 2005 but was eventually acquitted. Sumabong was arrested by the intelligence operatives of Cebu Provincial Police Office (CPPO) in a buy-bust last January. “We are checking if they are involved in some past shooting and robbery incidents in Bogo City,” said Oliver in Cebuano in a phone interview. The suspects are level two drug pushers for they can allegedly dispose of 200 grams of illegal drugs per week. THE municipality of Medellin, Cebu now has two roving nurses tasked to answer house calls and provide medical assistance to senior citizens in its 19 barangays, said Mayor Ricky Ramirez. 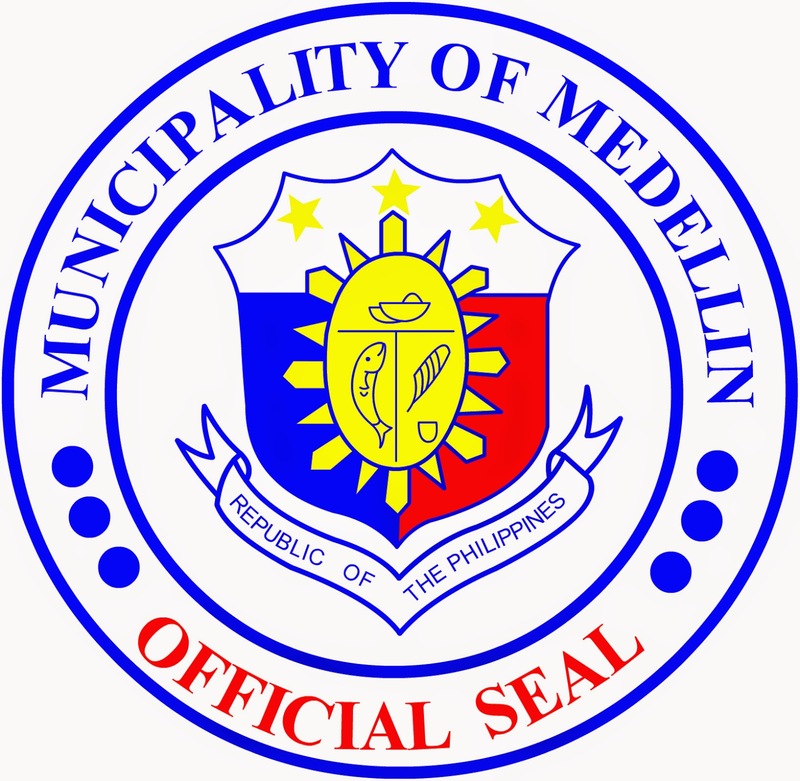 Medellin has around 5,000 senior citizens, said Ramirez. The 2010 census placed its population at 50,000. “Mas nindot ni kay ang di kalakaw murag gi-door-to-door ang pag-atiman nila (This is good because it is like providing a door-to-door service to those senior citizens who can no longer walk),” said 66-year-old Angelina Mangubat, Office of the Senior Citizen Affairs (Osca) president and Barangay Dayhagon secretary. Ramirez said that the blood pressure and vital signs of the elderly will be regularly checked by the nurses, giving priorities to those who are bedridden and on wheelchairs. He revealed that the nurses will use two motorcycles. These nurses, who are also called mobile health care workers, are given barangay assignments where they would visit the homes of the elderly from Monday to Friday. They are also on-call anytime of the day to respond to emergency cases. Bogo City's National Bureau of Investigation (NBI) Clearance Center is set to open today. The clearance center is located on the second floor of the old municipal hall, just above the Bogo Water District office. People from neighboring towns no longer have to travel to Cebu City to secure their NBI Clearance. The center is even accessible to clients coming from Leyte and Masbate. National Bureau of Investigation Manila ICT head Mr. Willy Abuan personally came to Bogo to install the NBI Information System Software at Bogo Clearance Center. 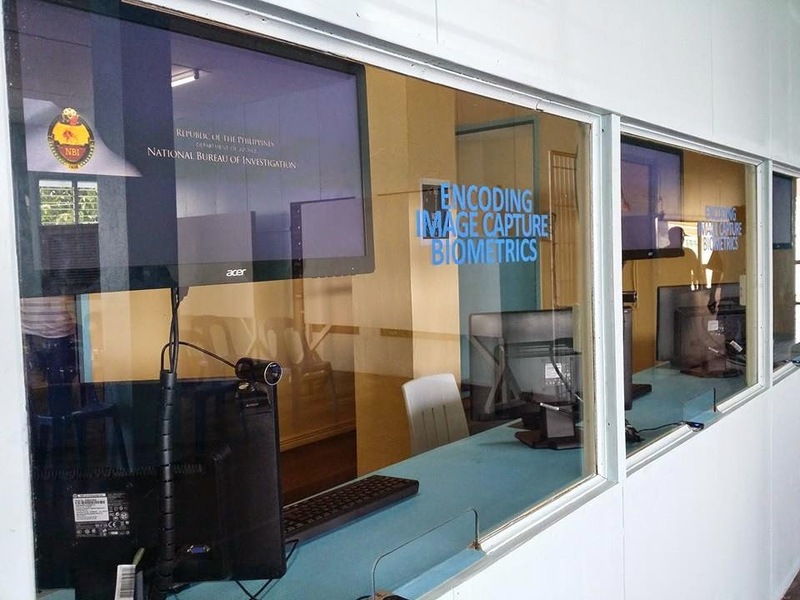 A test run was performed last Friday with City Administrator Max Suico, City Councilor Jose Brainard Mayol (proponent of the project), City Human Resource Management Officer Slavsky Ybañez , and City IT Officer Roger Tonacao. The Freeman reported that today's event is just a soft opening and a formal opening will soon be scheduled. Mayor Celestino Martinez Jr. has been requesting the facility after the NBI Clearance Center in Tuburan seized operation. The clearance center will be manned by the city government employees and will be supervised by an NBI personnel. Read More about the NBI Clearance Center. 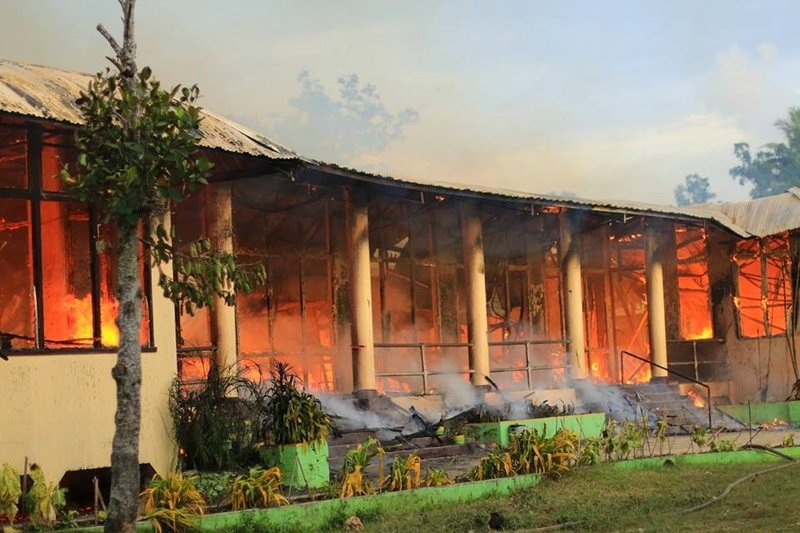 Nine classrooms were destroyed in Bogo City Central School 1 (known locally as Central 1) after being engulfed in flames last Sunday afternoon. The Freeman reported that the city fire department received the fire alarm at 5:06 P.M. The fire was declared under control at 5:45 P.M. and was declared completely out at 9:06 P.M. The building that caught fire was a Gabaldon school building. Gabaldon school buildings are heritage schoolhouses built in the Philippines between 1907 and 1946. They are mostly made of wood and light materials which explains the fast spread of fire. It was also the same building that was rehabilitated by the Israel Defence Force after it was severely damaged by super typhoon Yolanda in November last year. 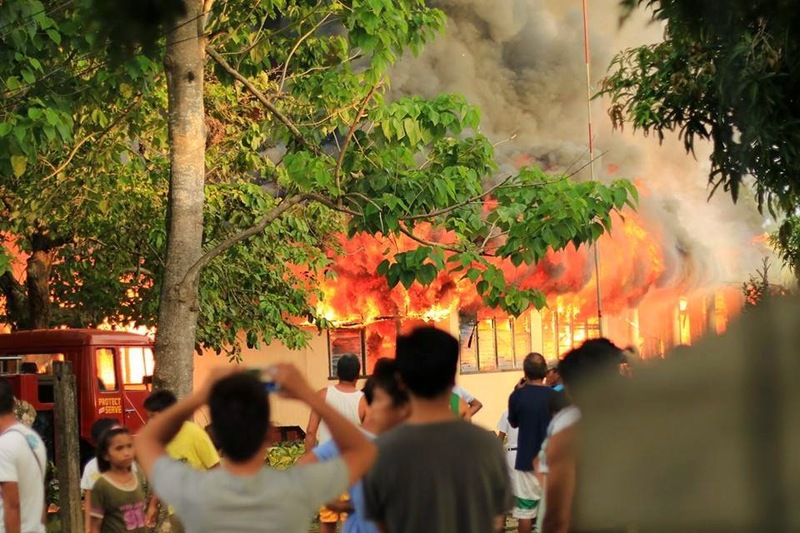 The fire department has estimated the damage at Php 2.5 Million. Fire investigators are still looking into the possible cause of the fire. The social hall, the library and some tents will be utilized as temporary classrooms for the 392 students that were affected. 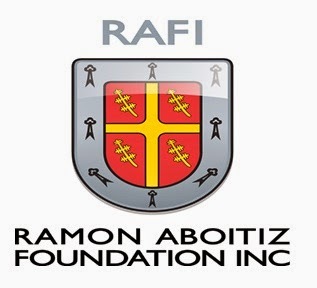 RAFI to Construct Classrooms in Bantayan, Madridejos and San Remigio. Bantayan, Madridejos, San Remigio and nine (9) other Local Government Units (LGUs) of Cebu signed an agreement with The Ramon Aboitiz Foundation Inc. (RAFI) for the repair and construction of 218 classrooms that would benefit almost 10,000 students. The Php144-Million School Rehabilitaion Project was signed by the mayors and/or representatives of the towns of Alcoy, Aloguinsan, Asturias, Bantayan, Barili, Borbon, Carcar, Naga, Madridejos, Samboan, San Remigio and Sibonga as a continuing commitment to provide the school children with a safer and more conducive learning environment. Aside from building classrooms, RAFI would also assist the LGUs and the Department of Education in school governance. “The challenge is not on fixing the school buildings anymore. What we need is to prepare the students so that they can compete,” said RAFI President Roberto Aboitiz, adding that there is also a need to build the character, competence, and citizenship of the students. As stipulated in the agreement, the 12 LGUs were expected to provide funds for manpower requirements as counterpart for the rehabilitation of their schools, among other obligations. The LGUs have also committed to assume full responsibility of the actual implementation and execution of the project. Read more about RAFI's School Rehabilitation Project. The Municipality of Tabogon activated its Barangay Anti-Drug Abuse Council (BADAC) for each of the town's 25 barangays. This will serve as its first line of defense against illegal drugs. Joey Herrera, Executive Director of the Cebu Provincial Anti-Drug Abuse Commission (CPADAC), assured that the Province is willing to help and assist BADAC in its effort to repress illegal drug activities. He said that BADACs must be strong-willed in informing the municipal mayor and police chief of any suspected activities. Tabogon’s municipal anti-drug abuse council is headed by Mayor Zigfred Duterte and co-headed by town’s police chief Insp. Bonifacio Pareja. “You are the town’s front-liners in terms of information and action. Without your support, we cannot achieve our goals in our campaign against illegal drugs. The same goes for the Province and PDEA,” said Duterte. The mayor said that illegal drugs were rampant in the town long before he became a public official. He said that illegal drug activities has been minimized through cooperation with local police. Liga ng Barangay(LnB) - Tabogon Chapter was encouraged to activate BADACs after understading the drug situation in the Province of Cebu during the LnB-Cebu Annual General Assembly where the Provincial Government in partnership with the Ramon Aboitiz Foundation Inc. (RAFI) formally launched the Just Say No program of CPADAC. 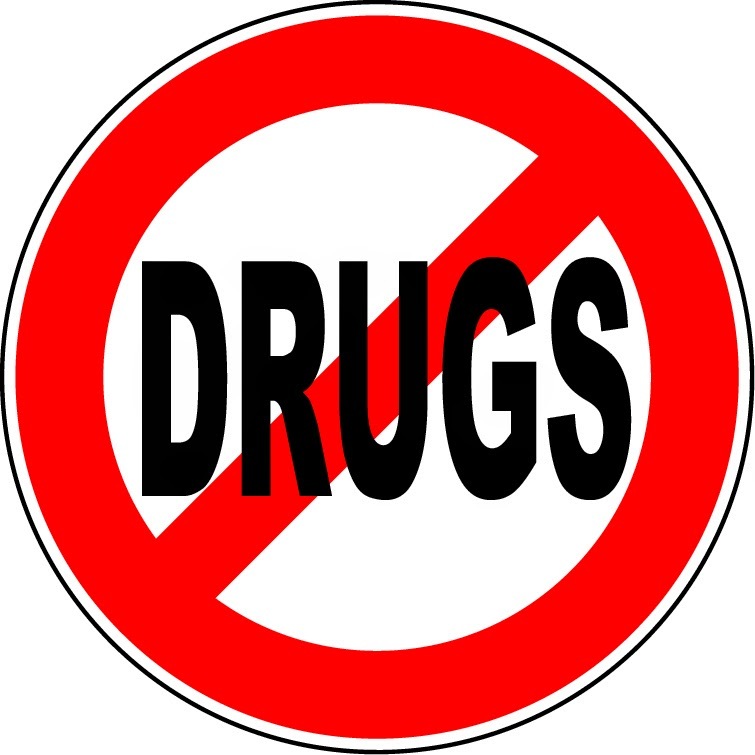 The program aims to unify local government officials, law enforcement agencies, youth, schools, parents, businesses and local media to fight drug menace. A CAPITOL-OWNED pickup truck hit a couple on a motorcycle, killing a 50-year-old man and injuring his wife last Sunday night in Barangay Don Pedro Rodriguez, Bogo City. Felix Mirambel died inside the trauma center of the Vicente Sotto Memorial Medical Center (VSMMC) in Cebu City at 2:52 p.m. yesterday, said his nephew Edgar. Edgar said his aunt, Marites, who was Felix’s passenger, fractured some bones. She underwent surgery yesterday and is scheduled for another operation today, he said. Edgar told Sun.Star Cebu that Capitol chief security officer Loy Anthony Madrigal was riding the pickup truck (license plate SJC-600) when the accident occurred. Gov. Hilario Davide III said he placed Madrigal under a 15-day preventive suspension starting yesterday as the Committee on Discipline and Investigation (Codi) will investigate him over the accident. Twelve northern Cebu towns were given 168 million pesos to fix government buildings, build emergency shelter and develop resettlement areas for Yolanda survivors. The financial assistance came from three government agencies: Department of Interior and Local Government (DILG), National Housing Authority (NHA), and Department of Social Welfare and Development (DSWD). This represents only the first tranche, said a recent progress report of the Provincial Disaster Risk Reduction and Management Office (PDRRMO). The assistance is not part of the P12.2-billion rehabilitation and recovery plan for Cebu Province that President Benigno Aquino III signed last July, said Capitol consultant for rehabilitation and recovery Carmel Ulanday. 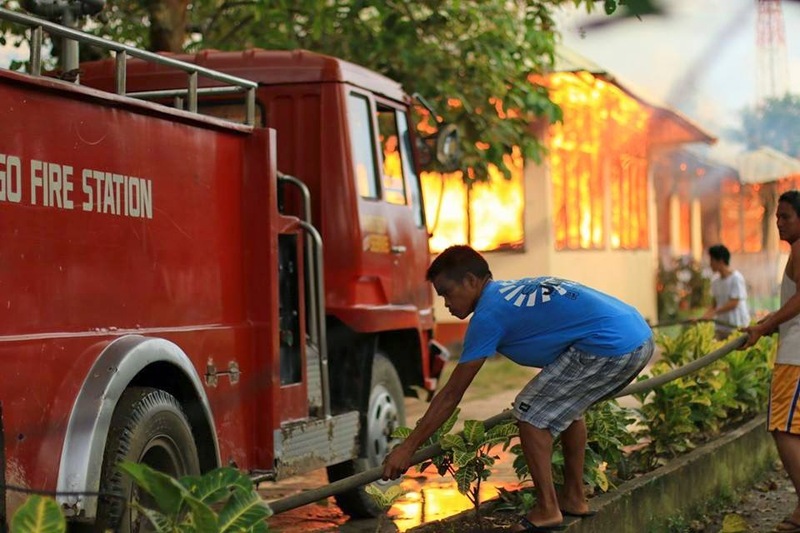 Yolanda ended more than 6,200 lives and injured about 28,000 people in the Visayas last Nov. 8, 2013, said a National Disaster Risk Reduction and Management Council report. The typhoon also destroyed or damaged almost P40 billion worth of infrastructure, crops and agricultural facilities. DILG’s first tranche of assistance was released last May 2. It was intended for the repair of municipal buildings, public markets and civic centers. Ulanday said the second tranche will be for the repair of barangay halls. Earlier, Regional Director Ananias Villacorta said the financial assistance distributed to northern local governments formed part of the Recovery Assistance for Yolanda (RAY) fund of DILG. For its part, DSWD has given emergency shelter assistance to Madridejos (P66.4 million), Sogod (18.1 million) and Tabuelan (P9 million). CEBU, Philippines - Gitabangan og kulata sa unom ka mga tawo, gibundakan og bato ang nawong, giluba ang liog hangtud namatay ang usa ka lalaki diha sa Barangay Luyang, San Remigio, niadtong Domingo sa alas 3:30 sa hapon. Ang biktima nailhan nga si Saturnino Cualbar, 45, samtang nakasibat ug nakatug-an sa kapulisan ang kauban niini nga si Dominador Collamat, 21, pulos taga Sitio Aningan, Luyang, San Remigio. Sa unom ka mga suspek, upat palang ang mga nailhan nga sila si Reneboy Good Noynay, 40, Jerry Yurag, Macky Ecarma, ug Michael Yurag, pulos nagpuyo sa maong barangay. Matud pa ni SPO1 Joe Johnnesky Ynot ang imbestigador sa San Remegio Police nga nahinabi sa Banat News kini mitug-an nga miadto sa maong lugar ang biktima kauban ang iyang anak-anak aron unta maningil og utang. Ilang nalabyan sa kilid sa dalan ang mga suspek nga nag-inom ug nahitabo ang tinubagay. Atol sa pagpanguli na unta sa biktima, gigukod ug gibabagan kini sa mga suspek nga sila si Noynay ug Yurag ug matud pa dali nga gihawiran si Cualbar. 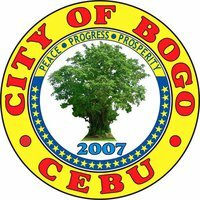 The City of Bogo has climbed up by 69 spots as the 47th most competitive city in the Philippines based on the Cities and Municipalities Competitiveness Index (CMCI) 2014 of the National Competitiveness Council (NCC). The Cities and Municipalities Competitiveness Index is an annual ranking of Philippine cities and municipalities developed by the National Competitiveness Council through the Regional Competitiveness Committees (RCCs) with the assistance of the United States Agency for International Development. The CMCI measures competitiveness at the local government level using 28 indicators grouped into three equally-weighted pillars: Economic Dynamism, Government Efficiency, and Infrastructure. Scores on each pillar were combined to form the overall score used to rank cities and municipalities. The CMCI 2014 featured a record number of 136 cities and 399 municipalities, up from 122 cities and 163 municipalities in the pilot run last year. Leading the roster of the most competitive cities this year were Makati City, Cagayan de Oro (Misamis Oriental), and Naga (Camarines Sur). For municipalities, Daet (Camarines Norte) was ranked the most competitive overall, followed by General Trias (Cavite) and Kalibo (Aklan). Cebu City made it to the 7th place. 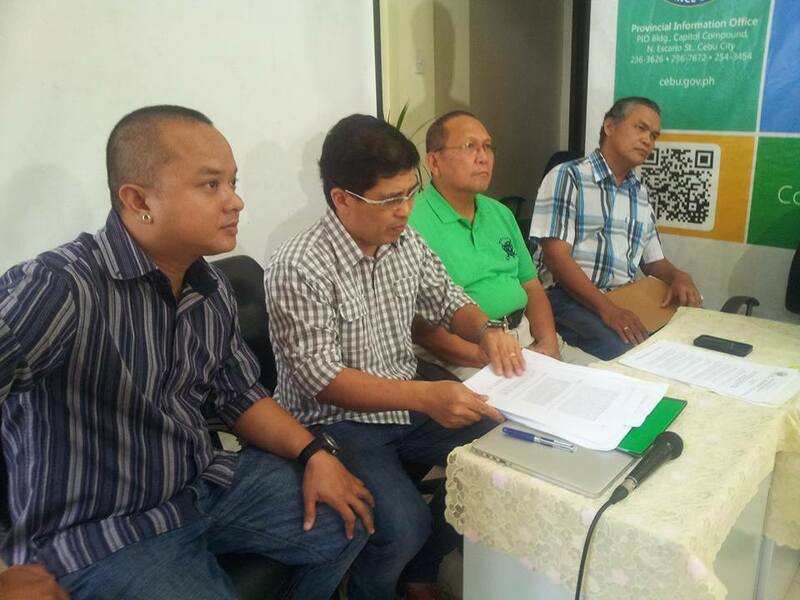 Other local government units in the country want to replicate a proposed ordinance in Bogo City which seeks to establish a system of disaster preparedness in the family, said an official of the Department of the Interior and Local Government. Willie Jean Cabanag, focal person for Disaster Risk Reduction Management-Climate Change Adaptation Programs of DILG-7, said they will soon come up with a policy making Bogo City’s disaster program dubbed as Information Management in Preparation for Disasters or “I.M. PrepareD” as model to other LGUs in the country. “Ang gi-push gyod karon is family disaster preparedness. Na-interested ang department ani sa good practice sa City of Bogo nga family disaster preparedness gyod ba. So gi-recommend sa DILG-7 didto sa central nga ipa-replicate,” she said during a Disaster Risk Reduction and Management Summit on Tuesday. She added the scheme under the said program caught the interest of DILG Undersecretary for local government Austere Panadero during his meeting with the city officials in Bogo last July 14. The Bogo City’s ordinance institutionalizing the I.M PrepareD program for families, barangays, schools and business establishment is now up for second reading. 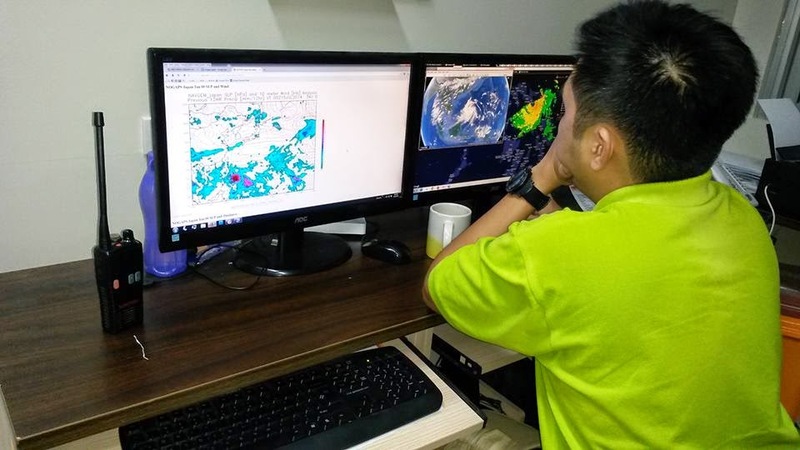 The Weather Philippines Foundation Inc. (WPFI), which aims to deliver critical and accurate weather forecasts to the Filipino community, has distributed 10 weather stations (AWS) to local government units in Cebu including Bogo City. The WPFI turned over the AWS and trained the municipal disaster risk reduction and management officers (MDRRMO), public information officers, administrators and mayors on the installation of the AWS and how to use the Weather Philippines website. 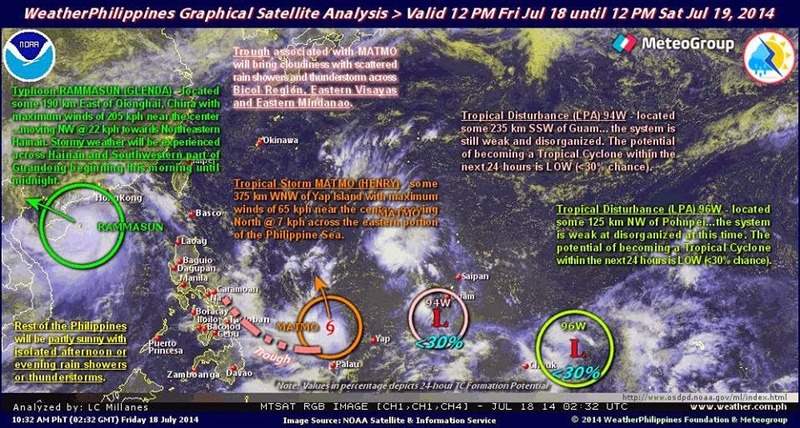 By bringing together the Aboitiz Group's resources and network, and MeteoGroup's technical expertise, WPFI is poised to be the country's premiere private weather information/content provider. The foundation aims to deploy 1,000 AWS nationwide. The LGUs that received the AWS are Alcoy, Daanbantayan, Dumanjug, San Francisco, Madridejos, Malabuyoc, Santander, San Remegio, Tuburan and Bogo City. Read more about the AWS distribution. Business Assistance Centers (BAC) in Yolanda-affected areas such as in Bogo City and Daanbantayan town. In a media release recently, DTI-Cebu explained that these BACs will function as the “little DTI” operating within the locality and will implement its flagship projects and basic functions within its geographical scope. 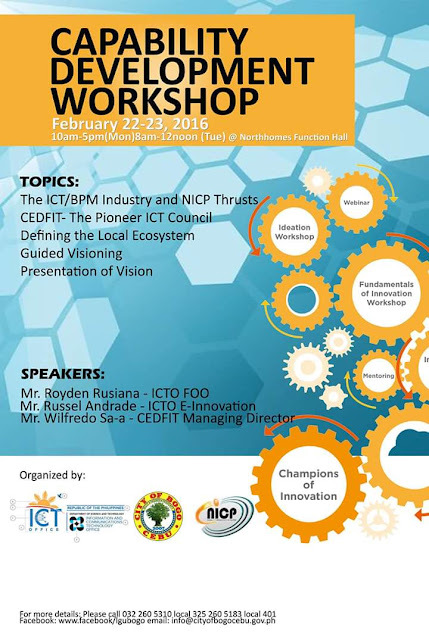 These centers will also function as DTI-Cebu’s contact point or administrative extension in the different affected LGUs and help in delivering and facilitating the necessary and immediate support services related to rehabilitation and recovery efforts for the industry, trade, services (ITS) sectors. DTI-7 said the BAC installed in Bogo City and Daanbantayan will also aid in building and enhancing linkages with the local government units and conducting consultancies to facilitate the needs of the business sector. 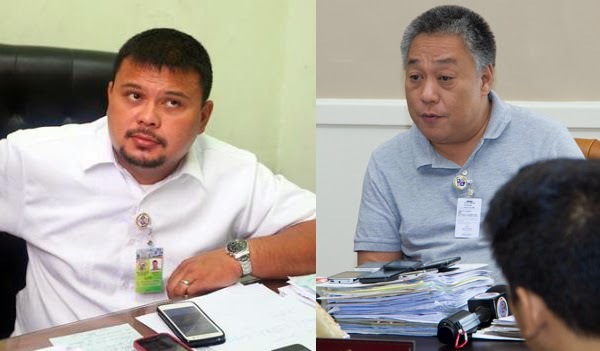 Bogo City Mayor Celestino Martinez and the Daanbantayan Municipal Mayor Augusto Corro are actively supporting the project and are positive thate these centers will bring government closer to the towns business instead of the residents travelling to Cebu City to transact with DTI. BAC personnel assigned in Bogo City will cover the areas within Bogo City, Medellin and San Remigio while personnel assigned to cover Daanbantayan will also include Malapascua Island. Programs and services that will be coordinated by the BAC are Bottom-Up Budgeting (BUB), Shared Services Facilities (SSF), Streamlining of Business Permits and Licensing System (BPLS), Industry Clustering/Value Chain mapping, Green Growth and Disaster Resilience, Building Local Competitiveness and Investment Promotions. DTI will also establish BACs in the municipalities of Sta. Fe and Sogod. First order of business for BAC personnel is an updated profile of the LGU for identifying raw materials indigenous in the locality that can be used for skills training and livelihood development. Two inmates of Bureau of Jail Management and Penology (BJMP) in Medellin escaped early Thursday morning. 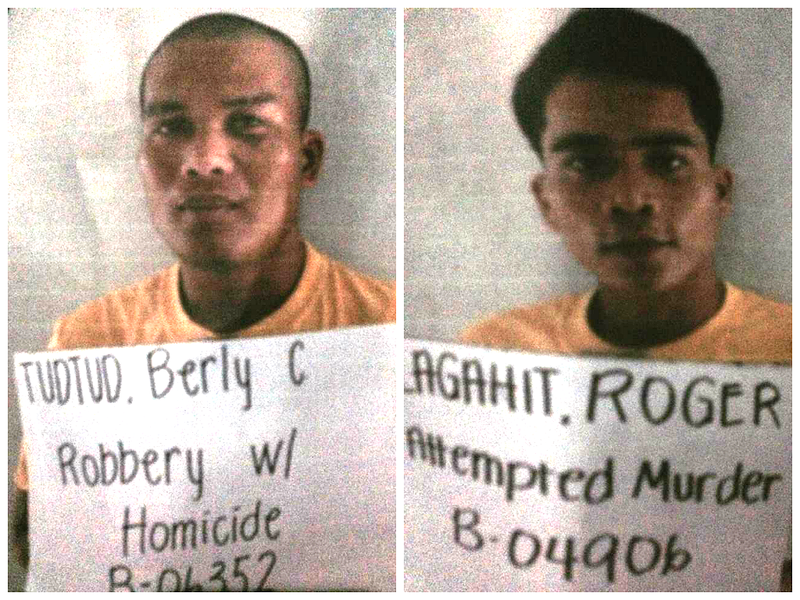 The fugitives were identified as Berly Tudtud of Bungtod, Bogo City and Roger Lagahit of Talisay, Daanbantayan. Tudtud is a former security guard who is a suspect in killing accounting clerk Jennelyn Migabon, 26; security guard Dean Deserto, 26; and Deserto’s girlfriend Cecilia Torres, 30, on New Year’s Eve after robbing a bank in Daanbantayan, Cebu. He was charged with robbery with homicide. Lagahit was charged with attempted murder. Sun.Star Cebu reported that the inmates bolted the jail at 6:30 a.m. with the help of a coconut lumber that they propped up against the 4-meter perimeter fence.Residents nearby saw what happened and reported it to the jail personnel. The LBC outlet located along P. Rodriguez Street in Barangay Libertad, Bogo City got robbed two days ago. It was the third LBC robbery this month following Barangay Tabok, Mandaue City and Barangay San Nicolas, Cebu City. 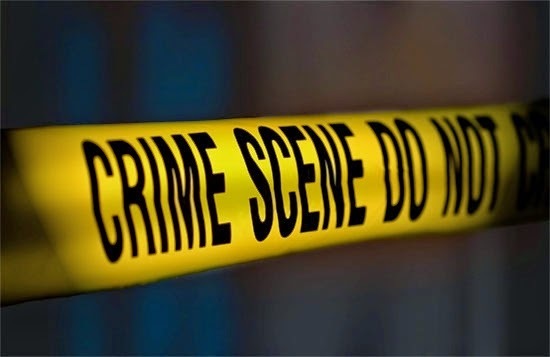 Two robbers entered the establishment shortly before 9 a.m. and reportedly took away cash worth Php 70,000, a mobile phone worth Php7,000, and a pocket WiFi of one of the employees. SunStar reported that one of the robbery suspects, clad in sweatshirt, cargo short pants and a blue cap, pulled out a .38 revolver and held the three employees(manager Melecio Maitom and customer associates Angel Mary Estrera and Camelo Damos) at gunpoint. Hermano Mallari, Bogo City police chief, interviewed by The Freeman thought there might be a backup waiting outside. The robbers fled on board separate motorcycles without plate numbers. Mallari also told The Freeman that it is likely that the robbers were not from the City of Bogo as they were not afraid of being identified. They reportedly did not wear masks to conceal their faces. The Public Employment Service Office (PESO), Capitol will have this year's first Overseas Job Fair on Sunday, March 16, 2014. 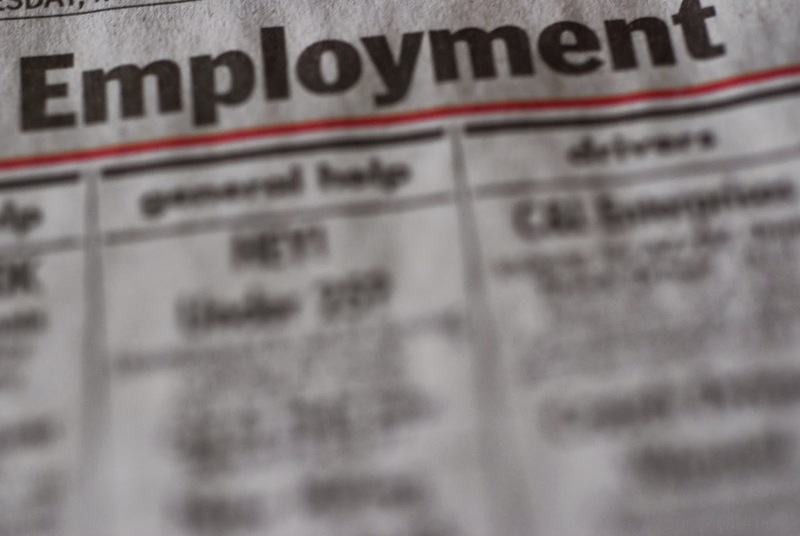 21,927 vacancies are to be filled up and thirty-two(32) licensed job agencies are expected to join the job fair that would give opportunity to successful applicants to work outside the country. STARWORLD INTERNATIONAL MANPOWER & PLACEMENT AGENCY, INC. Hired applicants will most likely be assigned in the Middle East and other destinations like U.S.A., Taiwan, Singapore, Malaysia, Canada, Brunei, Ethiopia Africa. To avoid inconvenience, PESO Capitol is advising all interested parties to bring with them their necessary documents and credentials or call PESO Capitol for more details through telephone numbers 253-5710. 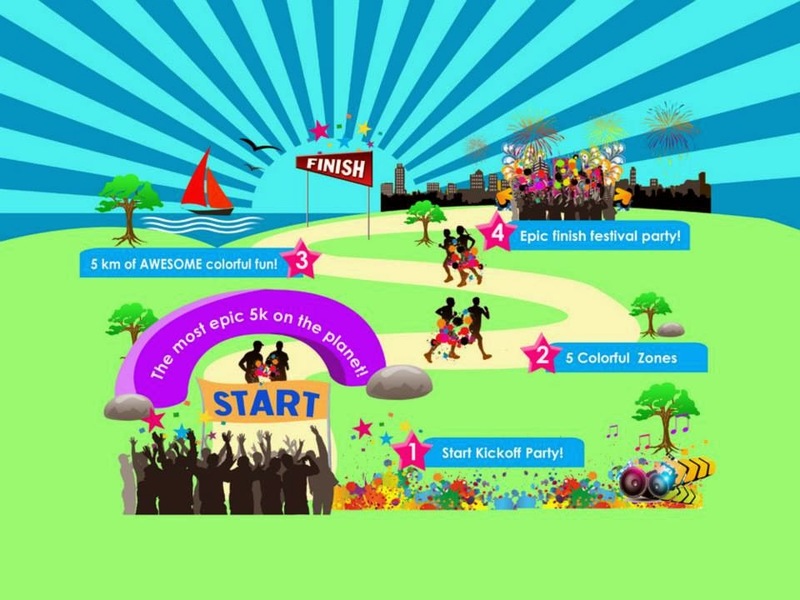 A fun run is set to color Bogo on the 25th of May this year. 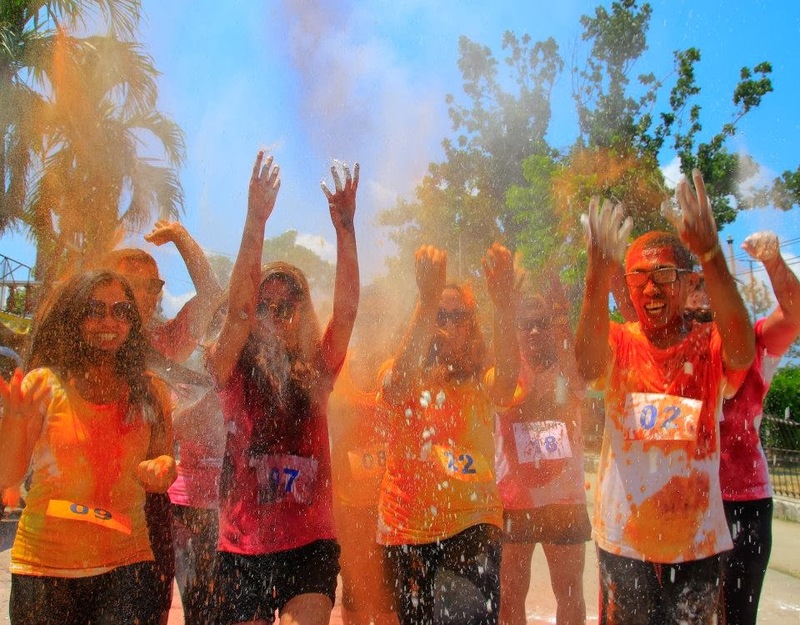 This will be the first Color Fun Run in the city. The Color Run is a 5-km un-timed race where participants (Color Runners) are doused from head to toe in different colors in every kilometer (colorful zones). Color runners should wear something white during the race. The fun continues with an unforgettable Finish Festival, a larger than life party equipped with music, dancing and epic color throws. The Color Fun Run is organized by Bogo CAREs (Circle of Accommodation & Restaurant Establishments), a group of businessmen gathered together to promote tourism in the City of Bogo. Registration fee is only Php 450. Visit https://www.facebook.com/bogocares for more details.